You gotta love Costco. I picked up these Easter themed fruit snacks. I figured I could stuff some Easter eggs with these treats for the egg hunt. I guess I wasnt paying attention but I dont think the kids would like it if I used them all up. All the eggs would just have these fruit snacks. There is 160 of them!!! I decide to take some of them and put them inside treat bags and put cute tags on them and send them in with my niece and nephew to give to their friends at school. They are super easy. 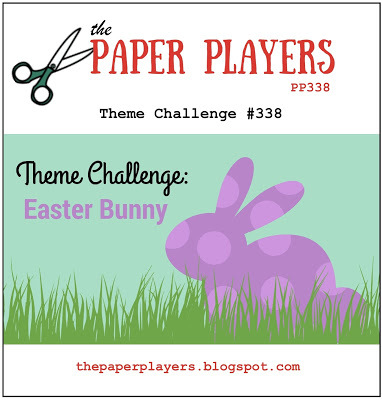 Die cut bunnies, punch circles, use the Crop-a-dile to punch the whole and you are done. Thank you The Paper Players for the Easter Bunny inspiration. OH MY GOSH!! These are adorable! Where did those bunnies come from? They're SWEET just like your treats! Thanks for sharing these with us at the Paper Players this week! I've been away in Amsterdam for Onstage hence my late visit to you this week Stasia! 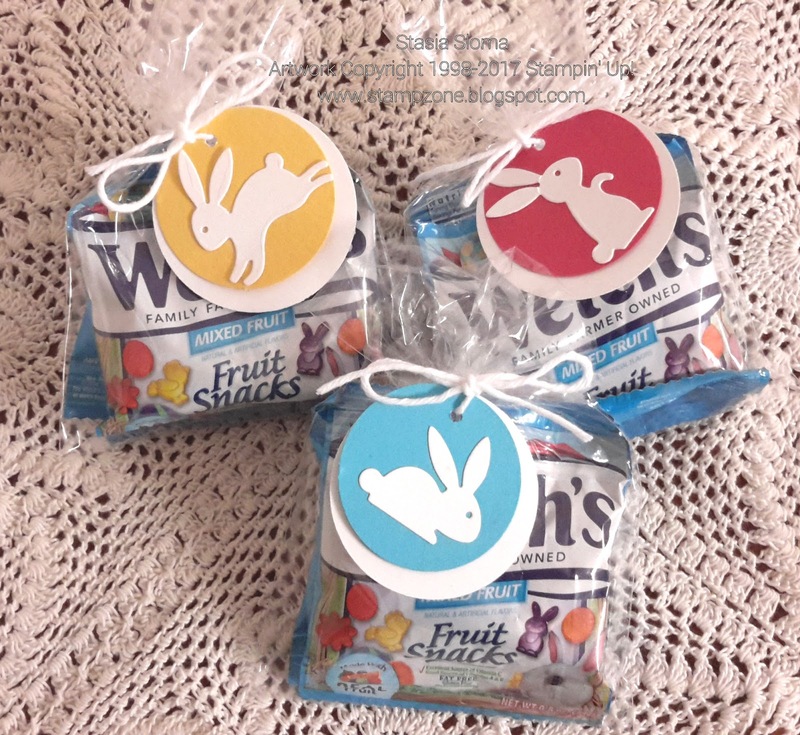 Love your cute bunny tags - the perfect simple way to dress up some Easter treats, it just goes to show we have no excuse when you can produce something as cute as this! Thanks for sharing your creation with us at The Paper Players.